For those who have suffered the loss of a family member due to the wrongful acts of another party, filing a wrongful death claim for damages can be an effective means of recovering compensation for medical expenses, funeral and burial expenses, loss of income, and loss of love and companionship. 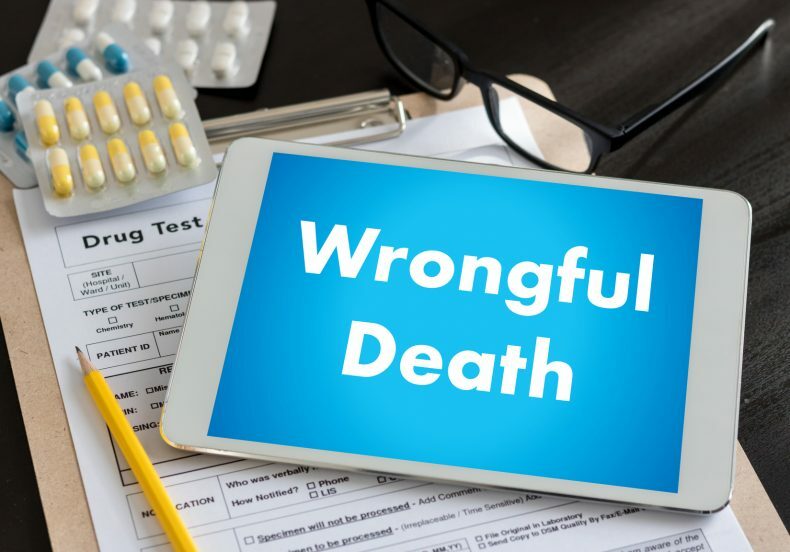 Bringing forth a successful wrongful death lawsuit is much more complicated than simply alleging the wrongful actions of another party, however; instead, plaintiffs must prove the elements of a wrongful death claim in order to successfully recover compensation. The first element in a wrongful death claim is proving that the defendant (the person you are filing a suit against) owed your loved one a duty of care. Duty of care differs depending upon case and the relationship between parties. For example, a property owner owes a different duty of care to a trespasser vs. someone who is lawfully on the property, and the driver of a motor vehicle owes a different duty of care to people on the road than a doctor does to a patient. In general, however, the duty of care is to act in a manner that is consistent with the standards of a reasonable person in the same position. The second thing that you will need to demonstrate is that the defendant breached this duty owed to your loved one. For example, a doctor may breach the duty of care if they fail to refer a patient to a specialist when test results or patient symptoms indicate they should do so. Or, a driver breaches the duty of care to others on the road when they drive distracted. Thirdly, a plaintiff must prove causation, or that the decedent’s accident/death would not have occurred but for the defendant’s breach of the duty of care. For example, if the defendant was texting while driving, the plaintiff must prove that had the defendant not been texting while driving, the car accident that took their loved one’s life would have never occurred. The three elements listed above–duty of care, breach of duty of care, and causation–are the three elements that are necessary in order to hold a defendant liable for damages sustained as a result of wrongful death. However, in order to actually recover compensation for damages, a plaintiff must prove that damages were actually incurred. Proof of medical expenses, funeral and burial expenses, lost earnings, and loss of consortium must all be presented. If you have lost a loved one due to the wrongful act of another party, you deserve to be compensated for your losses. We know how painful it can be to move forward after the death of a family member, and understand that pursuing a civil action may feel impossible or inappropriate immediately after death. However, filing a wrongful death claim may be the only way to hold the at-fault party responsible, and seek compensation for your family’s economic and noneconomic losses. To learn more about filing a wrongful death claim in Indiana and how our experienced wrongful death lawyers at Holland & Holland can help, contact us today and schedule your free consultation.